​2. Receiving records Agency representatives to record it in theback Application nationality Vietnam and grant applicants receive dossiers Poll. If the dossier is incomplete, invalid, therepresentative agency guidance to the applicants added, finishing as prescribed byVietnam Nationality Law of 2008 and theguiding text. 3. Verification ofdocuments Agency representatives perform the verification records for restoration of nationality Vietnam to examine the legality ofthe documents in the dossier and the authenticity of the information on theapplication for restoration of citizenshipVietnam. Agency representatives suggestedthe competent authorities check, verify if there are unclear, imprecise name, address,family relationship, the purpose of application for naturalization in Vietnam laiquoc,information proven information about the contribution to the cause of building anddefending the Fatherland, the import,nationality Vietnam back in favor of the Stateof Vietnam or other information concerned. ​5. 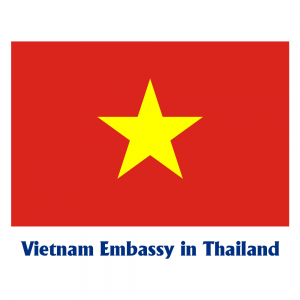 ​Solve ​After receiving the written proposal isaccompanied by a list of persons proposedsettlement and applying for citizenship backVietnam, the Ministry of Justice recorded in the receiving records and published a list of people to be the proposed settlement of thenationality on the Portal of the Ministry of Justice. Ministry of Justice updated scheduleresults in settlement documents were published list. ​6. ​Notice results ​Agency representatives announced the results in writing to the applicant on the resolution to back Vietnam nationality. 4. Judicial history card granted by the competent authorities of Vietnamfor the period the applicant back to Vietnam nationals residing inVietnam, the judicial history card granted by the competent authorityof a foreign country to period the applicant back to Vietnam nationalsresiding abroad. Judicial history card must be issued no more than 90 days before the date of filing. – Other papers stating Vietnam nationality or citizenship valuesVietnam proved his previous. d) that the citizenship of their Vietnam beneficial to the State of the Socialist Republic of Vietnam must submit a certificate from the agency or organization where they work, the agency managing state or the provincial people’s Committee confirmed on Vietnam’s citizenship they will contribute to the development of one of the fields of science, economy, culture, society, arts, sports. f) certified copy of the paper investing in Vietnam. ​7. ​Minor children and return citizenship Vietnam with her parents, they must submit a copy of the child’s birth certificate or other papersproving paternity, mother and daughter. Where only one parent or restoration Vietnam that minor children living with them and returned to Vietnam nationality under parent must submit a written agreementon the parents’ nationality restoration Vietnam of children. ​Number of records Three (03) Item.